arrears are paid, application to join must be made in accordance with Club Rule 7. 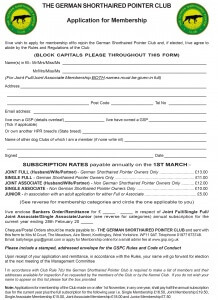 The GSP club year runs from the 1st March to the 28th February. 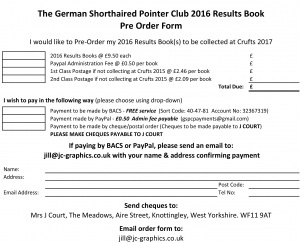 If you are applying for membership on or after 1st November you will pay half of the annual subscription due, plus full subscription for the following year. The fee will entitle you to membership for the rest of this year AND the next year. German Shorthaired Pointer Club © 2019. All Rights Reserved.